Scheidt & Bachmann Slovensko, s. r. o. We'll take care of it. We will address companies around for you, but your true identity will remain secret. Check the job offers that will be created specially for you. 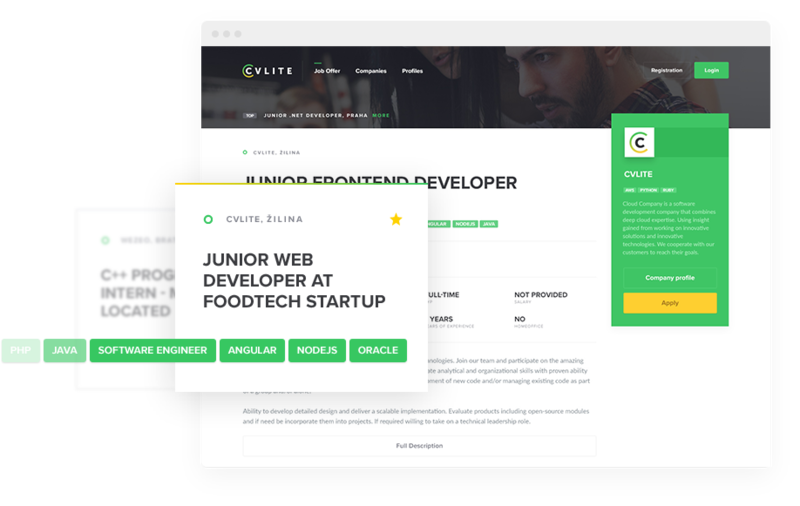 Create profile at CVlite.sk and get an overview of current job offers and IT companies in your city. Use modern technologies, work on interesting projects. 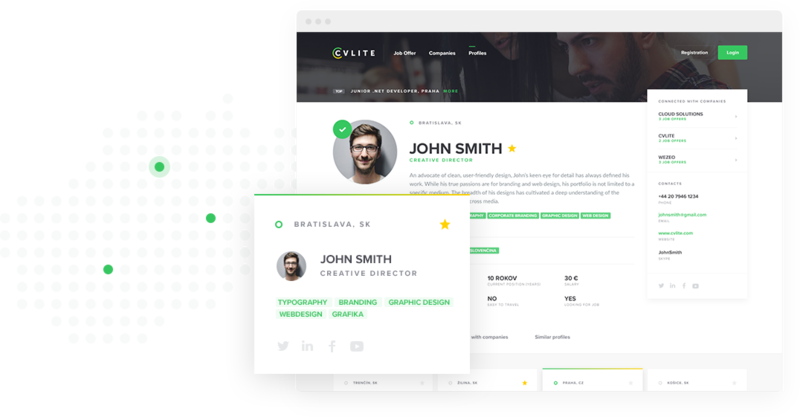 Create attractive business profile at CVlite.sk and show to job seekers what kind of projects you do and what technologies you use. Post your job offer and reach those considering the change. Start today to prepare your own network of people interested in working with you. The best technology is invisible. It's silly to get tens of offers, when you don't want it. 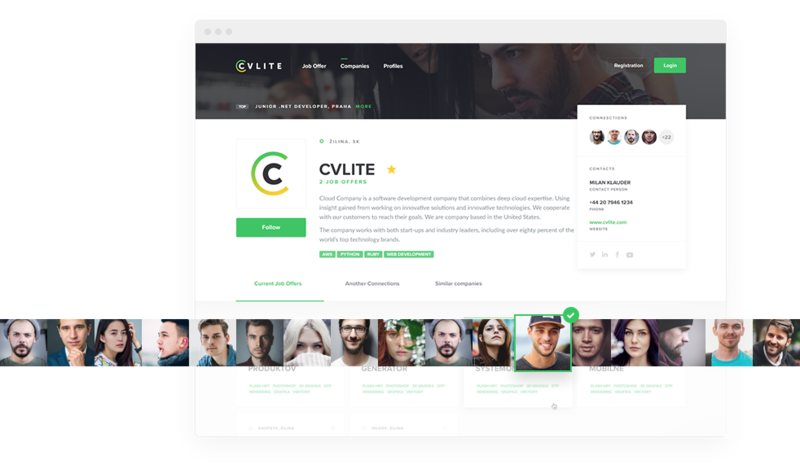 CVlite profile is like your personal job hunter, it delivers job offers whenever you like. Are you familiar with skills like Java, .NET or C#? Become part of community of professionals in the area you work in.